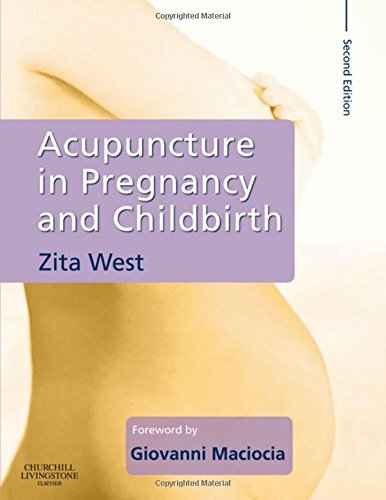 "One of the joys of this book is Zita’s ability to combine knowledge of the traditional western approach, essential for the confidence of those non-midwife acupuncturists, with the traditional eastern knowledge, essential for all practitioners, to produce a detailed ‘how to’ book. However, I would also recommend this book to midwives and student midwives in general. The terminology used in TCM is wonderfully evocative (the uterus is known as the ‘envelope of Yin’, and improving postnatal wellbeing may involve ‘mother roasting’), yet also so alien sounding that many may dismiss this book as being of specialist interest only. Please don’t! There is so much knowledge, and understanding of the underlying principle of holistic care, and the fundamental importance of all aspects of a mother’s wellbeing before, during and after pregnancy, that it would be unfortunate if this book became purely a specialist tome." Acupuncture in Pregnancy and Childbirth is a concise highly illustrated and practical guide to using acupuncture to treat women throughout their pregnancy and labour. Drawing on an unparalleled wealth of experience as a midwife and an acupuncturist, the author has produced a book accessible to both acupuncture students and practitioners covering physiology related to pregnancy and childbirth, illuminating links between Western knowledge and acupuncture approaches and suggesting points and point combinations for particular stages and actions during pregnancy and labour. Many practitioners are reluctant to treat pregnant women as they feel they lack a full understanding of pregnancy and fear harming the baby. This exciting new edition provides the practical advice and instruction required to bridge that gap in knowledge and give practitioners the confidence they need.